An elegant, airy period property which has been carefully converted to high-specification office suites blessed with many characterful features and installed with state of the art technical equipment. The interiors are stylishly furnished and tenants can enjoy the relaxing terrace on a site which is conveniently close to rail and motorway links. This is a beautifully designed brick building with distinctive clock tower and good natural light which offers stylish office suites and meeting rooms. Kitchen and lounge areas are also for leaseholders' use and the premises are ideally situated close to Guildford railway station, which offers excellent rail links, and all civic amenities. The centre offers 24-hour access, as well as a security system. Just outside of Guildford resides this impressive centre, where tenants will feel the relaxing atmosphere of its semi-rural location - with lots of greenery - yet also know they are in a business-focused zone, with international companies such as Phillips neighbouring you. The space is stylish, with lots of natural light and a zen atmosphere. Guildford town centre is close - around a ten minute drive. With its fantastic, central location and captivating period style, this property is a wonderful find for any company wishing to make an up-market impression and secure a delightful working environment. The centre is comprised of two lovely Georgian buildings each furnished with top quality modern and traditional styles and includes a boardroom, dining area and high tech IT equipment. Located seconds from the High Street, the centre is ideally placed for shopping, eating and transport amenities. This listing offers a range of office units from 75 sqft to 335 sqft. The leases are short and flexible, giving clients the ultimate flexible solution. The work space has free car parking and 24 hour access. The building also has storage options available for clients to benefit from. The office space is located two miles from Guildford Train Station, which provides frequent services into central London. A handsome Georgian property which has undergone extensive refurbishment to provide modern office space but retains its exposed beams and a medieval-style fresco, giving it a feel full or character. Meeting rooms and 24 hour access are offered and the building is to be found in the attractive old town area of Guildford, by the castle and near to the High Street. Guildford Railway Station has a direct link to London. This space is well placed for those using public transport, with Guildford Railway Station just steps away, offering connections to London Waterloo and Birmingham New Street, in addition to other destinations. Heathrow and Gatwick Airports are easily accessible, via both road and public transport. On-site, there is super-fast WiFi, lounge areas, meeting room availability, and the option to access the centre 24-hours a day. 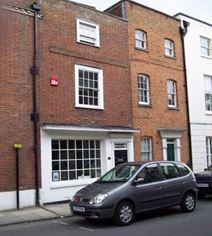 This centre enjoys an excellent location near to Guildford High Street and its various excellent amenities. 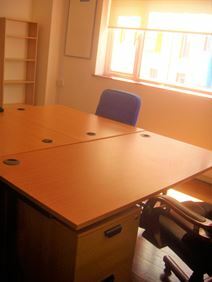 The centre has many desks available in a large open-plan office space. 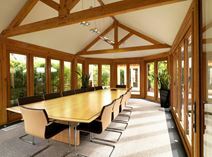 Other business services are available, including IT packages and meeting rooms. 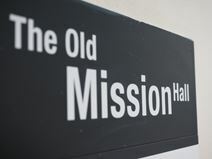 A unique property, formerly Old Mission Hall, which has undergone extensive redevelopment and now presents bright, atmospheric small office suites with wood floors and designer furniture. The centre makes an excellent impression on visitors and allows tenants use of a kitchen area, showers and parking. It is a short distance away from the A3,a dn Heathrow and Gatwick Airports are easily accessible.